One of the best varieties for the South. 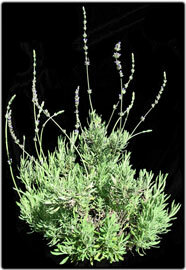 This lavender resembles the English forms and grows quite quickly. Find a well drained, bright area with lots of air flow to keep this plant happy. May grow to 3' x 3'.